allah: a non issue really – welcome! our dear bishop paul tan did it again – spoken up so wonderfully well. 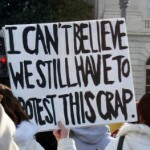 this time on an issue that is close to my heart…. which i used to speak up on at the time i was active blogging. 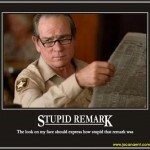 therefore i just have to record down here in my blog what he had said so well. (1) I do not pretend to speak for every Christian, less still for everyone. I speak for many people who do not profess the Islamic faith in Malaysia and perhaps for a number of Muslims in and out of Malaysia. (2) I do not claim that Christians must use the word Allah. It is up to everyone in accordance to his or her conviction. 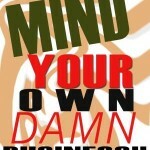 (3) I only claim for every human being the right and freedom to use any word found in any language. Upholding this principle, I personally claim that I have the right to use the word Allah. 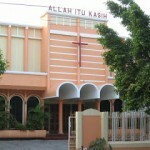 In this present Malaysian context, it must be said explicitly: it is not that Christians want to use the word to confuse Muslims; rather, it is taking a stand that no one has the power to take away the God-given right to a human person the freedom to use whatever word he or she wants to use provided the rights of others are not being violated. If certain Muslims in Malaysia feel that their rights are being violated, they have only to look at history to know that for centuries, Christians in Islamic countries, especially in the Middle Eastern countries where Islam was born, have been using the word Allah without stirring up any storm in the tea cup. To say that using the word Allah may confuse the Muslims in Malaysia is tantamount to casting aspersion on them because it is accusing them of having a faith so weak that, unlike their Muslim brothers and sisters in other countries, they are easily shaken because people of other faiths use the word Allah for God. Sikhs, Bahai’s, Maltese, Mizrahi Jews, etc., use Allah. More of this later. In the same setting, I would like to emphasise that Malaysia is a constitutional or parliamentary democracy and not a theocratic state, in concrete, an Islamic state; say what you want, the fact remains that at the inception of the Federal Constitution, our founding fathers did not want Malaysia to be an Islamic state. Our founding father Tunku Abdul Rahman’s statement on the matter is the best testimony. The Sultan of Selangor and the Sultan of Pahang have banned non-Muslims from using the term Allah. Our Federal Constitution does not give any sultan the power to dictate to people of other faiths what religious rules that they must follow. People of faiths other than those of Islam have their own religious heads who govern and tell them what is right or wrong in accordance with their religious beliefs. My claim of human right for everyone on the use of any word from any language, in this case the word Allah, is based on the following facts and reasoning. Allah is a pre-Islamic word used by Arabs, e.g., the Arabs in Mecca, before Prophet Muhammad was born. For these Arabs, the word, Allah, means “creator deity”. It is therefore not an Islamic creation and Muslims have no exclusive claim to it although they may and have injected into it specific nuances. If the Holy Prophet Muhammad wanted Muslims to use a specific word with special connotations that others did not have, he would have created a new word and not use a word already used by the Arabs and Arab Christians before his time. Besides, Christians, Mizrahi Jews, Bahai’s, Maltese, Sikhs, and others use the same word. The Skhs have publicly proclaimed that their Holy Scriptures have used the word Allah 37 times. The Sikhs ask the rhetorical question: Are they also forbidden to read and pray their Scriptures? In our own country, in Sabah and Sarawak, our Bumiputera, e.g., Kadazans, Ibans, Bidahyus, Melanaus, etc., have been using the word Allah in their languages for umpteen years. No country in the world, including the Arab countries in the Middle East and, closer to Malaysia, Indonesia, forbids non-Muslims from using the word Allah. Christians in these countries have been using it for centuries. At present, there are about 10 to 12 million Arab Christians using the word Allah for God. If some Malaysian Muslims claim that non-Muslims cannot use the word because the Malaysian Muslims’ understanding of Allah is unique to them, then logically they are saying that the Arab Muslims also have a different understanding of Allah from their understanding because the Arab Muslims use the word Allah for God and allow Christians to use the same word. Consequently, we would be a laughing stock of enlightened people in the world if we were to continue to make criminals of people of faiths other than those of Islam because they use the word Allah. I have in my possession a Dutch Gospel according to St Matthew or in Malay Language, Injil Matius, in the book “Nuevve Testament.” It was translated into the Malay language in 1629. In it, the word for God is translated as Allah. 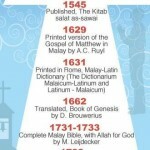 There are other Christian literatures translated into the Malay language after 1629 using Allah for God. He further brought MAIS’s attention to a circular, dated April 11, 2011 and endorsed by Prime Minister Najib Tun Razak himself, which stated that the government has agreed that non-Muslims may import, buy, print, distribute, read and use the bible in any language, including Bahasa Malaysia. Further to this, although the issue is still pending on the appeal to the court of appeal, KL High Court has ruled on Dec 31 2009 that the ban on the use of the word “Allah” by people of faiths other than those of Islam is illegal. There is only one God, call Him/Her/It whatever you want, Brahman, God, Almighty, Absolute, Allah, Shang Ti or Tian or Tian Zhu. The One Creator does not change just because we humans change the word or the meaning of the word. He is the One Creator of all creatures. Hence, to forbid people who profess faiths other than those who profess Islam is to say that Allah is not the creator of non-Muslims. This would indeed be a blasphemy to Allah. A greater insult would be to confine Allah to Muslims and consequently logically to admit that there are other gods, true or false, besides Him/Her/It. This would be against the very tenet of Islam that there in only one God. God does not speak in human words. Words are created by the human mind that wants to convey to others that which he or she sees, hears, smells, touches and tastes. From what comes through these senses, the human person extrapolates with his/her intelligence all the common features of similar things and comes up with a symbolic word, e.g., that is a “tree”. God is spirit. The Absolute has no human body through which It comes to know. The Almighty does not speak in any human language. He/She/It is beyond and above all limited human language. Why must one pray in a particular language, be it in Latin or in Arabic or in Pali, etc.,? This human rule seems to say that God or Allah can only understand that one language. This is tantamount to limiting the power of God to being able to understand only one language. It is also equivalent to saying that there are other gods who can understand other languages. It defeats the basic belief of the monotheist religions that believe that there is only one god, one god, creator of all things. Hence, to limit that absolute being to any human word would be equivalent to making Him/Her/It a human being. This is what we humans say: “to anthropomorphise” the Absolute Almighty. It would be an insult to make Him/Her/It less than what IS. From the above, it is clear that to forbid anyone from using any word for that Absolute Almighty is to fall into irrationality and absurdity. It is against all reasoning, all facts and truths. 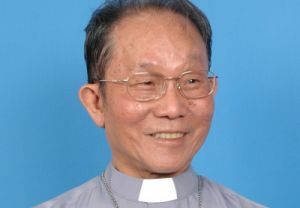 Bishop Paul Tan is the immediate past president of the Catholics Bishops’ Conference of Singapore, Malaysia and Brunei.